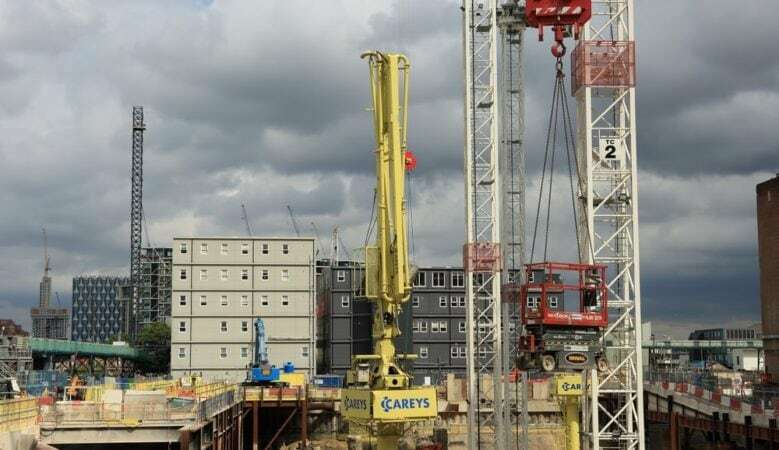 More new homes are being built by councils in London, across all tenures, but they are hampered by restrictions on the amount they can borrow and a lack of expertise, according to a new report. London’s boroughs could deliver 37,300 homes over the next five years and existing schemes are set to deliver 23,600, up significantly from 2,100 between 2011 and 2018, according to the report from the Centre for London. Overall, some 22 boroughs have started to build again, driven by the need to create more housing for all tenures, to meet local needs and to deliver better places while generating a financial return. But the real potential is yet to be realised and the report suggests that if every one of London’s 32 boroughs committed to delivering a minimum of 10% of their draft new London Plan target, either directly or through a wholly owned company, a total of 37,300 homes could be delivered across the next five years, representing 12% of London’s housing target overall. The report also highlights the challenges that prevent councils from increasing their housing delivery. These include constraints on borrowing capacity, intra-council barriers and lack of political support, as well as planning and development issues that are also exacerbated by a lack of internal capacity and expertise. It argues that boroughs could work together better to share expertise and maximise the number of homes they build, but also argues that policymakers need to do more to support and encourage them to deliver more. The report calls on the Government to relax the conditions attached to various funding streams and recognise the key role that councils can play in delivering more housing and says that the Greater London Authority (GLA) should, through the existing Public Practice scheme, give more boroughs access to the development staff that they will need as they start building homes again. It also wants the Mayor of London Sadiq Khan to use his funding powers to support the development of partnerships between boroughs at sub-regional level. ‘Boroughs are already making a significant contribution towards achieving the aims of the draft New London Plan on small sites but if every borough were involved or did more, it could represent a real step change in new housing delivery,’ said Victoria Pinoncely, research manager at the Centre for London. ‘As it stands, they have one hand behind their backs. Restricted access to funding, underfunded planning departments and weak political support for schemes hampers their ability to deliver the homes the London desperately needs. These barriers need to be removed if we’re to realise the full potential of borough builders and meet the Mayor’s ambitious housing targets,’ she added.